OVERVIEW: Between April 22nd and May 3rd, indigenous peoples from around the world will convene in New York City for the 18th Session of the United Nations Permanent Forum on Indigenous Issues held at the United Nations NYC Headquarters. Amazon Watch will be accompanying Amazonian indigenous leaders from Ecuador, Peru and Brazil in close coordination with several partner organizations, including Cultural Survival, the Shipibo-Conibo Center, The New School, the Interfaith Forest Initiative and Women’s Earth and Climate Action Network (WECAN), with support from Rainforest Action Network’s Protect An Acre Fund and Global Green Grants. Public Event: "Indigenous Resistance and the Crisis of Mother Earth: Paths to Climate Justice"
Official UNPFII Side Event: "Traditional Knowledge – Indigenous Territories and Food Sovereignty"
Hear success stories and best practices from Indigenous communities who are utilizing traditional knowledge (TK) to protect their lands and territories and steward agricultural production and food sovereignty. Learn about Mayan communities in Belize collectively administering their territories, how Amazonian Indigenous Peoples are implementing their "life plans" to safeguard the Sacred Headwaters region of the Amazon, and about communities in Southern Mexico using TK on their lands to maintain food sovereignty in the face of climate change. 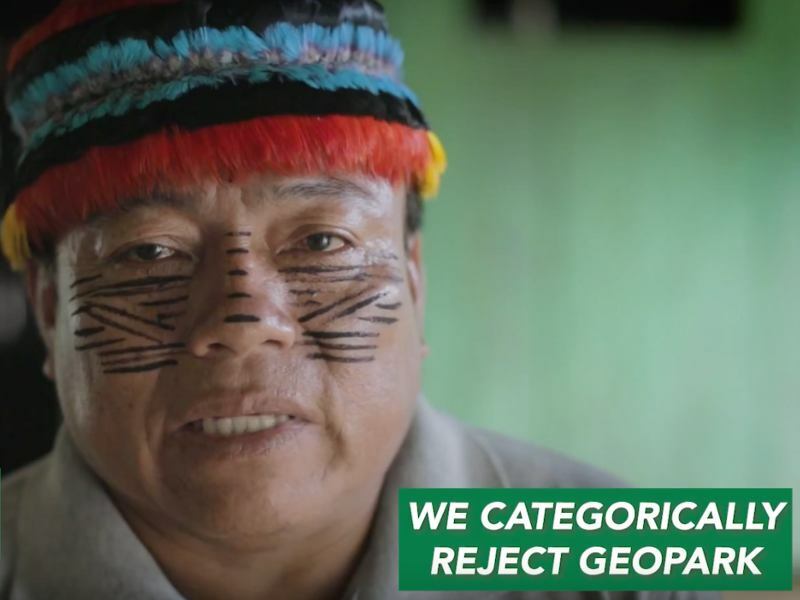 * Public Action: "Stand with Indigenous Peoples of Brazil and the Amazon – Rally and Petition Delivery"
Stand in solidarity with the resistance to the Brazilian government's attacks on indigenous rights and territories. Join Sonia Guajajara (General Coordinator of APIB), indigenous leaders from around the world and allies in delivering over 10,000 petition signatures. 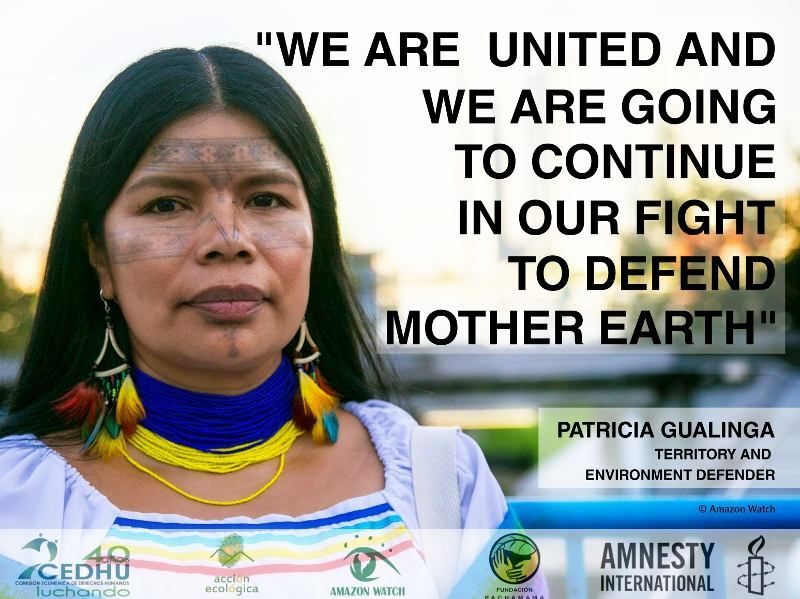 Public Event: "Indigenous Women of the Americas Protecting Mother Earth: Struggles and Climate Change Solutions, 2019"
Sônia Guajajara, General Coordinator of the Articulation of Indigenous Peoples of Brazil (APIB). Catalina Chumpi (Shuar), Coordinator of the Organization of Indigenous Women of Pastaza Province (COMNAP) and member of "Amazonian Women Defenders Against Extraction", Ecuadorian Amazon. With translation and comments by Leila Salazar-López, Executive Director of Amazon Watch. Official UN Side Event: "Forest Defenders: New Threats and New Responses"
Amazon Watch Reception and Panel: "Defending Indigenous Rights, the Amazon, and Climate"
Amazon Watch invites you to a meet & greet reception and panel discussion with Amazonian indigenous leaders taking part in the 18th Session of the UN Permanent Forum on Indigenous Issues, moderated by our Executive Director Leila Salazar-López. 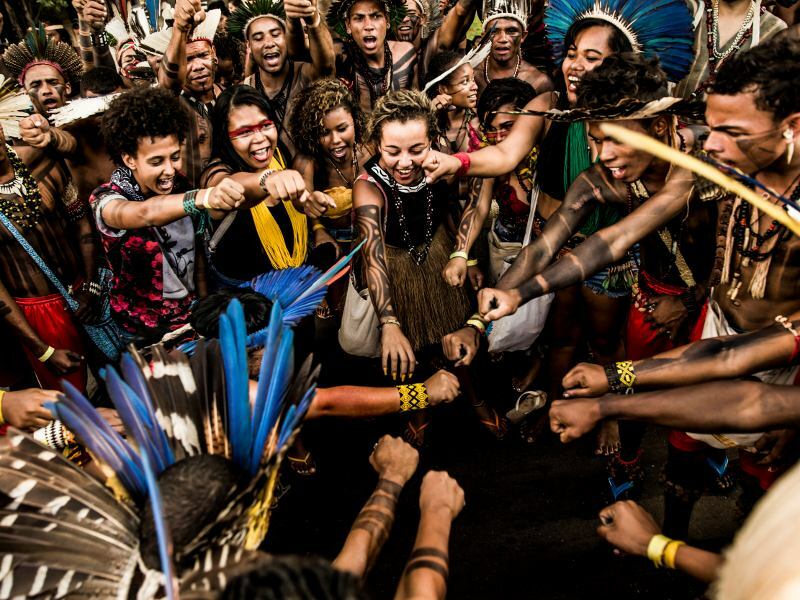 Join us for an evening of voices of traditional song, resistance, solutions and opportunities to take action and make a lasting impact to protect the Amazon, indigenous rights and the climate. "Women Defenders of the Amazon Against Extraction," Patricia Gualinga (Kichwa from Sarayaku) and Catalina Chumpi (Shuar), as well as Ronald Suarez, Leader of Coshikox, Council of Self-Governance of the Shipibo, Conibo, Xetebo People of Peru. 50% of the proceeds from every ticket purchased will be donated to Amazon Watch. Official UNPFII Side Event: "Indigenous Women Land Defenders of the Americas: Protecting Forests, Climate, and Communities"